A classic precious gemstone in the color most associated with love and two gracefully carved hearts combine to make this a ring that's doubly romantic. 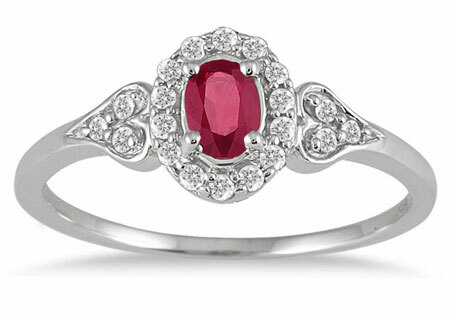 This Ruby Vintage-Style Diamond Ring in 10K White Gold has time-honored feminine charm, as well as eye-catching color that multiplies its ability to express affection. 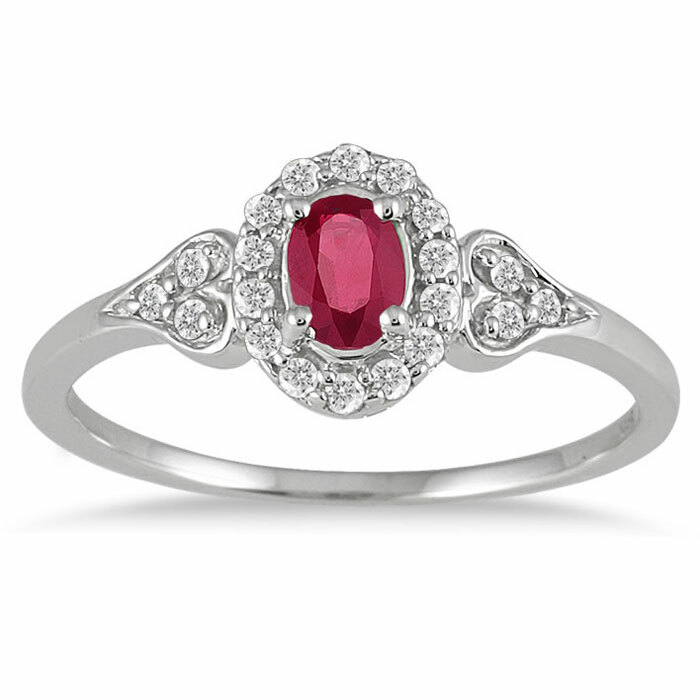 The focal point of this sweet and sophisticated take on a halo ring is an oval-shaped ruby, 5mm high and 3mm wide. This classic precious gemstone has a sparkle so fiery that some ancient cultures believed that it contained a flame in its center. 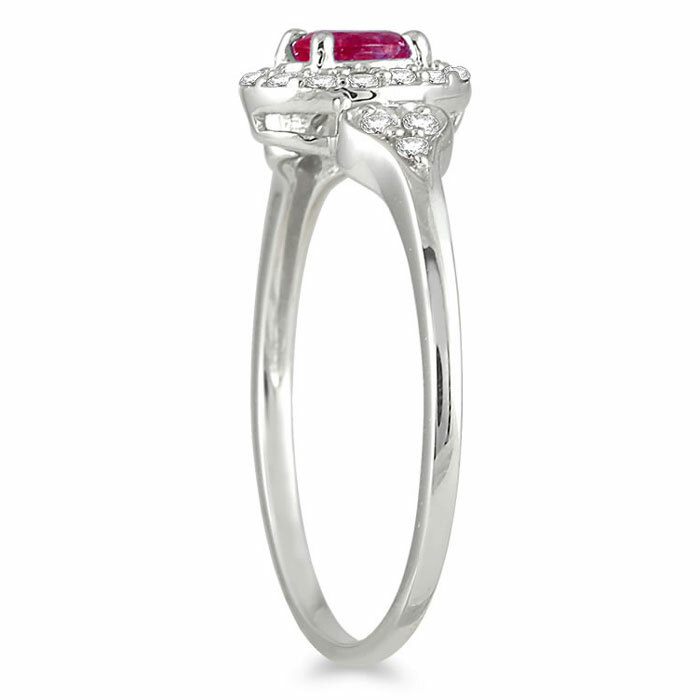 The rich red hue of this quarter carat ruby has long been considered the color of love and of matters of the heart, and it's contrasted in striking fashion by 0.15 carats of diamond accents.